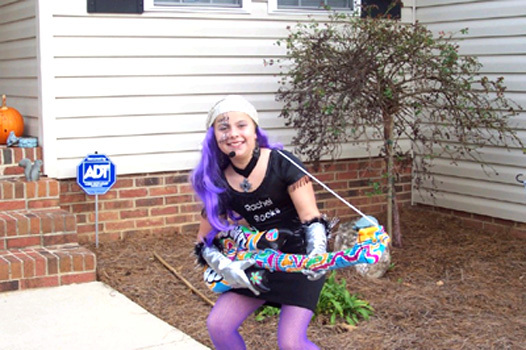 Hi, I ordered the lavender fish net hose to go with my daughter's halloween costume. They added a wonderful touch. She absolutely loved them. Thank you! Thank you for the great Sky Blue tights! I got a ton of laughs from my Nacho Libre outfit and I even won the best costume at the bar we went to that evening! Thanks for the tights, they fit well and looked exactly like the costume from the film! 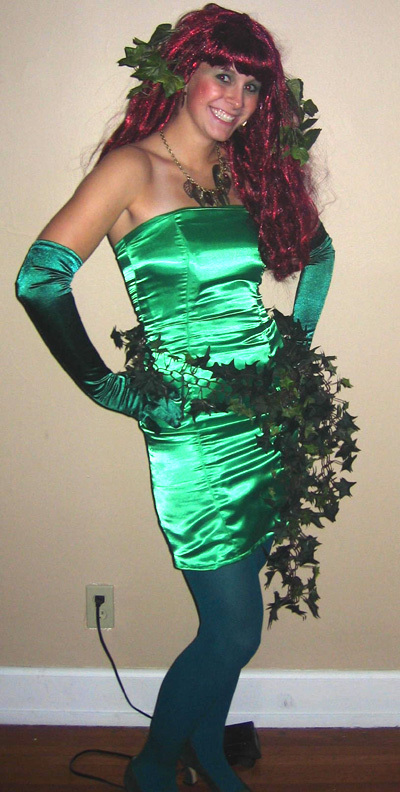 I attached an image of the costume that I used your tights for in a halloween costume as Poison Ivy from the Batman comics. Thanks for the unique color availability! Here is a photo of my boyfriend in yellow tights. He was diagnosed with tonsillar cancer on Sept.2 and has since had surgery. For Halloween he went as the Cancer Fairy, protecting all from Cancer. We can dress like this because we live in the French Quarter in New Orleans, the best place in the world to celebrate Halloween. We will definitely keep your site bookmarked for all our costuming events and recommend you to all of our friends. Send Us your costume photos.